What’s the best way to teach Emotional Intelligence to kids? How can we help them develop self-awareness and empathy? And, how can we help them relate better to others? The answers will depend on a number of factors, not least a child’s age and whether you’re their parent or teacher. However, as Emotional Intelligence is increasingly becoming embedded in curricula worldwide, we’re seeing huge growth in the number of EI activities, games, and toys for kids. We’re going to look at how Emotional Intelligence differs in children and adults, and how you can pick the best games or toys for helping your child learn about EQ. The fun (and probably unsurprising) part—so many of them are designed to be interactive. A great way to spend quality time with your kids! 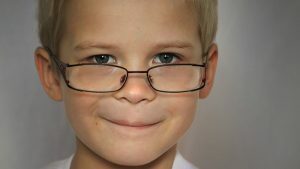 What Is Emotional Intelligence in Children? Should We Be Teaching Emotional Intelligence? How Does It Affect Parenting? How Can We Encourage EQ in Early Childhood? Can We Teach Emotional Intelligence in Kindergarten? Typically, and depending on the kid’s age, it’s a work in progress. But what does this actually mean? In short, the basics of Emotional Intelligence in children and adults are similar. It’s just that most of us have long forgotten the first time we acquired the most basic of these skills. Such as “Wow, James feels differently than I do”. As a child grows, they’re learning different EI skills at different rates—there’s no single, tidy, linear model to summarize how EQ should look in children of different ages. However, there are a few things that take a child from pure sensorimotor development to making friends and impulse control. Understanding emotion-behavior linkages – e.g. “Dad kicked the wall because he’s mad”. How do we know if our kids are developing Emotional Intelligence? Here are just three of many potential examples. 1. They will express themselves – even very quiet children will express their emotions in ways that are noticeable. While louder kids might be more verbal, more introverted children might sing, draw, or even write about how they are feeling. Sometimes, these things happen so gradually that you might not pick up on them straight away. 2. They will listen to others – take Peter and Jane for example. As kids develop, they will start listening more actively to others and respond in emotionally appropriate ways (Robertson, 2005). As another example, Peter might tell Jane that he’s excited because of something his dog has learned, and Jane might be happy for him. 3. They self-regulate – at some point, you may notice that a student or kid of yours is taking a moment to process something emotional. It’s often a slower process in kids, but it’s a big step forward (Mischel et al., 1989). So if you notice Bobby is taking a deep breath where he might once have reacted angrily, you could acknowledge this behavior accordingly. Why not? Everybody is going to have different views on school curricula, but to be completely honest, you’re probably already teaching Emotional Intelligence. How? By modeling and reinforcing certain behaviors. By listening, validating, and empathizing, among myriad other things. Even just discussing emotional topics is already part of helping children learn about feelings, and it builds their emotional vocabulary too. EI helps children understand themselves and others, communicate, and handle unpleasant feelings. Both now and later in life, it can help them develop and maintain relationships at work and more personally. Whether you want to teach it in a separate class is a topic for another discussion, but in a nutshell—there’s no real scientific reason why we shouldn’t be teaching EI. If you noticed (and maybe shook your head at) the ‘Dad kicked the wall’ example a bit earlier, that’s a good example of how parenting does play a role in EI development. There’s fairly abundant literature to back it up, too. Families create emotional climates – this encompasses how (or when, or even if) they express emotions. These emotional climates can be conducive or otherwise to kids’ ER development. Parents can teach, support, and scaffold kids’ EI development in active ways – essentially just a more specific extension of ‘parenting practices’. Which leads us to some fun ways for parents and others to help kids develop Emotional Intelligence. If you’re after a fun game to play with your students or children, we’ve picked a few to cover several different stages of development. Conversational EQ is based on neuroscientific fundamentals; it’s designed to ‘train your brain’ for Emotional Intelligence. There are many different levels, with the Prime Six Courage Club (P6CC) most suited for kids of a reading age (around 5 years old or so). Also called the Starter Deck for Emotional Intelligence, the P6CC has been developed to help children develop their social skills, emotional capacity, and more. It’s suited for 2-4 players, and the 54 card deck features three main types of cards, each with a certain number of ‘coins’ drawn on the back. Shuffle the 54 cards and put them in the center of the group, then pick a player who will begin the game. Each player in turn then takes a card. If they pick a ‘Feel’ or Think’ card, they make a statement using the words ‘I feel…” or “I think…”. The statement should relate to the emotion that’s on the card, such as Nervous, Angry, or Calm. If the player picks an ‘Ask Permission’ card, they come up with an “I feel…” statement, then ask other players if you can share your thoughts. Follow this through with an “I think…” sentence. Lastly, a player might pick an ‘Open Question’ card. They then offer an “I feel…” sentence, and the player beside them will pose an open-ended question about that statement. While answering, the player should use an “I think…” statement. You can either play until someone reaches a predetermined number of coins, or for a set number of rounds—the choice is yours. Learn more about, or buy, the P6CC Conversational EQ Starter here. Simple, easy, and a favorite with very young kids. With the right instructions, you can use this timeless game to teach kids Theory of Mind, as well as how to express their emotions. If you’ve never played Simon Says with children before, explain the rules. Basically, explain that they’ll need to pay close attention to what you’re saying. That is, to follow instructions only when you start by saying: “Simon Says!” Give them a heads up that you’ll be testing their listening skills, so they have to stay sharp listeners throughout. The game can have several rounds, but you’ll only be giving the kids visual cues (facial expressions, gestures, and so forth) to match your instructions in Round One. For each round, they’ll match your actions…but remember—only when “Simon Says”! Simon Says: Touch your nose (here you can ‘trick’ them and do something else instead). Rounds Three, Four, and Five: Here you continue the verbal instructions, asking the kids to express different emotions such as surprise, worry, and amusement—whatever seems most appropriate. Only join in on the last ‘trick’ one, where you give one instruction, but do something else instead. Each of the instructions that you give the kids should encourage them to express different feelings, thoughts, or intentions. By recognizing and expressing these emotional states, they can learn to develop awareness and empathy, important parts of the Theory of Mind. We found, and slightly adapted, this great Emotional Intelligence game at Play Based Parenting, which you can find here in its full form. Kids between 6 and 12 years old might enjoy learning to control impulsive behaviors with the Stop, Relax & Think board game. It’s been created for therapists and those who work with children, such as counselors and professionals. It’s quite frequently used in these contexts to diagnose and treat impulsive emotional behavior. Stop, Relax & Think includes tokens, several different-sided dice, card decks, and little characters to represent each person. Just like with many other board games, it’s suited for anywhere between two and six players. Kids work their way through four sections of the board: Feelings, Stop, Relax, and Think, and collect tokens for completing different activities. For example, in the Feelings section, they pick, read, and answer a card from the Feelings deck. In the Stop section, they take a specific Stop card until another player says “Stop”. This helps kids learn to control their behaviors and check involuntary, emotional responses. Head over here to Child Therapy Toys to buy Stop, Relax & Think. 4. Which Emotion Am I? Recognizing emotions is a key part of Emotional Intelligence and a skill which helps children navigate social interactions more smoothly. In order to gauge the appropriateness of a response in a specific situation, kids first need to understand and be able to relate to others’ feelings. Which Emotion Am I is a guessing game that teaches kids to distinguish emotions through facial expressions. Move around the table. When it’s a player’s turn, they can ask one question about their card—but they can’t use actual emotion names (worried, nervous, surprised, etc.) Instead, they should ask a question with a yes or no answer, related to the emotion. For instance: “Would I feel like this if I bumped my head?” “Would I feel this if I was opening a present?” The other players will then give a yes or no answer. Once a child believes they’re ready to correctly identify the emotion on their card, they can use their turn to do so. They’ll then win that round, but the game continues on until each emotions card has been figured out. Check out the Which Emotion Am I? Game and download some ready-to-use emotions cards here. Here’s a popular board game with therapists—the Social and Emotional Competence Game takes players on a twisty path through five sections of the board. These are: caring, communication, getting along, sharing feelings, and cooperating. Developed by Child Therapy Toys founder Dr. Gary Yorke, it features different cards for each skill. Children answer the different questions given on each card, which aim to help them manage and recognize emotions, empathize, problem-solve, and more. You’ll find the Social and Emotional Competence Game here at Creative Therapy Store. Self-esteem and Emotional Intelligence have been shown to have a positive and significant correlation with one another (Ciarrochi et al., 2000). The fun part is, it’s easy to create your own self-esteem game from a set of Jenga tiles. You’ll need something with which to write on these tiles, but otherwise, it’s pretty simple. What is your favorite thing about the person on your left? Tell the others about something you have done that you are proud of. What is something that your friends like about you? Tell us about a time that you accomplished something great. What is something that made you really happy recently? Once you’ve completed all the tiles, you’re ready to play Self Esteem Jenga. Put your tower together and take turns pulling out a tile. Each time a player pulls out a tile, they should answer the question, complete the sentence, or act out the activity on the tile before putting it back on top of the tower. Try to keep the tower upright for as long as possible—that’s one of the aims of the game. The other, of course, is to provide kids with an opportunity to reflect on their own (and others’) strengths and qualities. Through this exercise, they get to hear self-esteem enhancing reflections from those around them. Here is the Self Esteem Jenga game at its source. Fox and Rabbit is a group game that helps in teaching kids self-management, and all you need to play are two different types of ball. These can be different colors or shapes, it’s up to you—name one “Rabbit”, and the other “Fox”. Start by getting the kids to stand in a circle, and give one of the balls to a kid on one side. Give the other to a player on the opposite end so that one has Fox, and one has Rabbit. One main rule of the game is that neither Fox nor Rabbit can be held for longer than one second. What makes it tricky is that Fox is trying to catch Rabbit, while the latter’s busy trying to escape from Fox. This means that if a kid has Rabbit, they need to make a split-second judgment of where Fox is and move Rabbit quickly to the next child in the opposite direction. If they have Fox, they need to pass it along to the next player in the direction of Rabbit. You can add a points system into the game if you like, by awarding a child a point for each a kid with Fox manages to ‘catch it’. That is, when they pass Fox to the player who is currently holding Rabbit. Here is the Fox and Rabbit game at Playworks. 1. Why Do We Lose Control Of Our Emotions? This simple cartoon explains the concepts of recognizing and controlling our feelings. The different areas of the brain and their roles in emotional management are explained in easy-peasy language, using a Hand/Brain concept developed by psychiatrist Dr. Dan Siegel. Aimed at preschoolers and toddlers, this cartoon teaches kids how to understand and express various emotions. It’s lovely and colorful, designed to keep very young children engaged while encouraging them to learn about emotions in everyday life. Another cartoon for kids of a very, very young age. This one introduces visual cues such as body language and facial expressions to nursery children. As the cartoon children in the video act out different feelings, you can encourage your child to do the same. It’s also a very nice way to teach basic Emotional Intelligence vocabulary to little ones. We’re warning you, this one is a pretty catchy cartoon. Put together by Kids Learning Tube, two pandas teach the young ones about how to share emotions and practice empathy. If you prefer a read-aloud story, this cartoon is a great choice. In it, Asher and Luna are two kids who experience feelings like jealousy, sadness, and finally happiness. Luna learns how to empathize with Asher’s hurt feelings, and resolve the situation using her social skills. The cartoon is based on a book called Start With Sorry by P.T. Finch, Gokhan Bas, and Jody Mullen. You can find it here on Amazon. Even as adults, pictures are very much more engaging than text, a lot of the time. Using images such as the My Emotions Wheel can make socio-emotional learning seem a lot less like homework. From Childhood 101, this Emotional Intelligence Wheel is designed to be interactive. You can download and print it here from its source. Each of the sections in the wheel represents a different emotion. You and your child can go through the wheel together, doing different Emotional Intelligence activities together. Practice empathy by using the wheel to indicate how others are feeling (in cartoons, on TV, in movies, in real life, etc). You could talk about how you felt during a similar emotional experience, or encourage your child to do the same. Choose from different images with between 4 to 8 segments for different stages of development. These include happy, angry, worried, excited, surprised, and more. Remind myself that it is never okay to hurt others – This extends to verbal hurt, as well as physical. Take 3 deep breaths or count slowly to 10 – Through this step, kids can begin to appreciate the value of not reacting instantly. In the time that they’re giving themselves to relax, they can come up with a better response to whatever has made them feel a certain way. Use my words to say how I feel and what I wish would happen – Teach your child that it’s fine to acknowledge what they’re feeling, even if the immediate reaction they would otherwise take is not appropriate. Ask for help to solve the problem – Encourage them to come to you or someone appropriate who is able to validate their feelings. They can feel supported and seek others’ assistance with emotional problem-solving. Take the time I need to calm down – Letting kids know that even if the first four strategies don’t work, it’s okay to stop and cool off. This helps them with behavioral cessation, so they can respond later (rather than react instantly) once they’ve let the feelings pass. EI is about social skills as much as it is about self-awareness. Role play is a great way to teach kids interpersonal skills such as empathy, emotional regulation, self-expression, and more. Even in kids with already-developed skills, role play allows them to practice, apply, and fine-tune what they already have. Empathy Charades is one nice example of Emotional Intelligence role play that you can use to help children develop empathy. Just like regular charades, it can involve two or more teams or individuals. Unlike regular charades, you don’t necessarily have to mime. A response to both of these. One example scenario might involve one child bumping their head while falling out of bed. The corresponding response could be along the lines of the other child sympathizing with them and giving them an ice pack. Let the children act out their scenario and the emotion, and the other team(s) should try to figure out what’s going on. It’s a great way to help children both understand the concept of empathy while using the knowledge in action. As they dramatize the scenario and responses, they will be able to draw on their empathetic vocabulary—just without giving away the entire guessing game. It will also help them brainstorm different ways to display empathy in real life, together, and in a fun way. This Emotional Intelligence role play and a few more can be found at its source here. Unlike role-play exercises, toys are generally fascinating enough on their own for kids to want to get engaged instantly. Typically, with no cajoling or explanations required! Developed for children aged 8 and over, Feelings in a Jar is quite a versatile resource. Put simply, it’s a nifty, screw-top ‘Feelings Jar’ that contains 365 different paper slips. Each contains a “feelings” word, examples include: cranky, angry, courageous, hopeful, or insecure. There are many ways to use the little slips; one nice idea is for children to take one out and act the feeling out, either in a group or on their own time. The beauty of this ‘toy’ is that grown-ups and teens can use it too—they make nice diary prompts and can double as ice-breakers for Emotional Intelligence group activities. Feelings in a Jar is available here on Amazon. If your child prefers a plush toy, you’ll find that EI toys have come a long way. Kimochi makes a family of soft toys for young children aged 3 and above. The great thing about Kimochi toys is that they require little in the way of instructions, leaving kids free to interact and engage with them as they feel different things. Lovey Dove is a soft huggable with a sweet back story and three ‘feelings’ toys that come all together—Happy, Proud, and Hopeful. Kids can hide these ‘feelings’ under Lovey’s wings to share their emotions or use them to celebrate others’ achievements. Bella Rose is designed to teach kids empathy, and closes up her petals when she’s ‘feeling hurt’. Her little ‘feelings’ sidekick plushy is ‘Sensitive’. The best thing about the Kimochi dolls, however, is they are the starring characters of their own books. These books feature communications tips from Ellen Pritchard Dodge, author of Communication Lab 1: A Classroom Communication Program. These help parents teach kids how to play and share in appropriate, friendly ways. As another nice bonus, each doll usually comes with its own free Feel Guide. This covers EI basics for kids such as identifying and expressing emotions, making friends and communicating. You’ll find Kimochi’s Bella Rose here, and Lovey Dove here. It’s not uncommon for some children to clam up when it comes to discussing their own emotions. In the classroom, too, teachers often find that engaging a class typically leads the same small group of students to volunteer an answer every time. The Thoughts and Feelings Speaking Cards are a nice way for therapists, parents, and educators to prompt dialogue and help kids explore their feelings at a deeper level. Suited for kids of age four and upward, they have illustrated images of people expressing common emotions—fear, pain, happiness, joy, and so forth. They’re not entirely unlike a kids version of the visual cues that the MSC and other Emotional Intelligence tests often include for the perception of emotions. Developed by child psychologists and therapists, you can present a child with a card, then ask them to identify the emotion illustrated. This can be used to open up meaningful discussion about kids’ experiences, feelings, and more. Purchase the Thoughts and Feelings Speaking Cards here at Amazon. The key idea is to help children relate to different emotions both in themselves and in others, but in practice, these cubes can be used for any kinds of EI game. Get the Learning Resources Emoji Cubes from Amazon here. Technology has come a long way, as the PleIQ Learning Cubes demonstrate. These 8 toy blocks are for kids of between 3 and 8 years old, and each face has numbers, symbols, and words on it. Children can hold the cubes up to a tablet camera, which triggers different stories, characters, and activities on a compatible PleIQ app that comes free with the blocks. As 2D becomes 3D through the app, the whole experience is designed to stimulate and develop different types of intelligence in kids. The Emotional Intelligence aspect of this game comes in where children take on the rule of a ‘guide’ for the characters that pop up on the screen. By helping these characters problem-solve or navigate different situations, they have to give them advice, helping them develop to interpersonal (and interpersonal) EI skills while doing so. You’ll find the PleIQ Learning Cubes available here. We can start with the very basics—by creating a safe space in which kids feel supported and free to express their emotions. To be honest, there are so many activities, games, exercises, and more to help kids develop EQ. So at the very broadest level, try picking an approach that is neither too challenging nor too easy as to bore. If this sounds a little like the Zone of Proximal development, that’s because it is (Vygotsky, 1978). If you want to be more specific, you can have a look at the resources above—where possible, we’ve added ballpark age ranges for each of them. Just remember that every child is unique, and will develop at their own pace. Therefore an approach that suits one child may be too tricky for another, and vice versa. As several of our cartoons and toys should show, it’s never too early to start teaching Emotional Intelligence. Kindergarten is no exception. In fact, early childhood is when kids really start to develop greater awareness of their own emotions, as well as a basic understanding of others’ feelings. They learn to use simple language to describe emotions in those around them, and link these, in turn, with others’ behaviors (de Villiers & de Villiers, 2014). According to scientific evidence, and along with other skills, this lays a framework for developing social competence. Typically, this also occurs at the kindergarten age, but slightly later, once the basics are in place (Denham et al., 2003). And so, the kind of Emotional Intelligence teaching that goes on at the kindergarten level can cover quite a wide gambit. As a start, and at lower levels, EI activities and lesson plans will often focus on the more ‘basic’ Emotional Intelligence competencies. Such as self-awareness, emotional recognition, and expression. 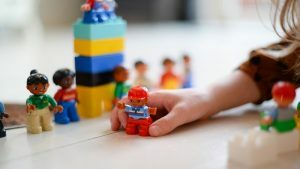 As kids develop these, they’re a logical precursor for the more sophisticated techniques of emotional management, social skills, and more. In short, kids need to learn to walk before they can run. EI is so many things, from understanding and acknowledging the way that we feel, to growing and nurturing our relationships with those around us. Giving kids the opportunity to develop their empathy, social skills, and more is one of the best ways to equip them for life ahead. From school friendships to managing their feelings when they feel down, to helping them find their own best ways of coping. And, one other great thing about teaching Emotional Intelligence to kids is that there’s just so much we can learn ourselves while doing so. Just like we’re never too young to start learning, we’re never too old or adult to stop developing our EQ. Hopefully some of the games, toys, and resources we’ve put together can be of practical use to you in the classroom, at home, or on the go—and hopefully, they’re fun, as well. Please feel free to share your thoughts with us in the comments. Or maybe you’ve got a resource you can tell us about, too? Bandura, A., Ross, D., & Ross, S. A. (1963). Vicarious reinforcement and imitative learning. The Journal of Abnormal and Social Psychology, 67(6), 601. Childhood101.com. (2019). 5 Steps to Managing Big Emotions. Retrieved from https://childhood101.com/helping-children-manage-big-emotions/. Ciarrochi, J. V., Chan, A. Y., & Caputi, P. (2000). A critical evaluation of the emotional intelligence construct. Personality and Individual differences, 28(3), 539-561.
de Villiers, J. G. & de Villiers, P. A. (2014). The role of language in theory of mind development. Topics in Language Disorders, 34(4), 313-328. Robertson, K. (2005). Active listening: more than just paying attention. Australian family physician, 34(12), 1053. Great resource, I am definitely using it with my kids at home and in school. Thank you!!! This is a wonderful article! I started a toy company called Whatsitsface to encourage emotional intelligence – your article really resonated with me! That’s so nice to hear Joanna, I am very glad that you found the article interesting. Thank you for your comment and kind words! This is valuable! Thanks for taking the time to research and write the article. Thank you very much for engaging! I thoroughly enjoyed writing it, and I hope you can use it as a resource!